i love that the woman's feet in the top left photo have dirt on them and i love that it's difficult to pin down just what the light source is. 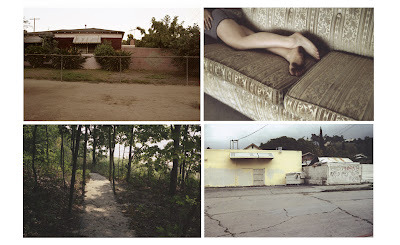 heather culp's images are full of these little mysteries. she skillfully controls her color palette and lighting to craft this gritty beautiful world with run down cars and empty parking lots. i want to invade these images and slip into the lives of the characters she creates. it makes sense that whispertown2000 would employ this talented lady. I Simply love your images, I like the way you capture the essence of what you are photographing.